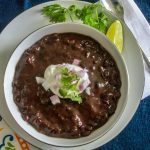 This easy and super-flavorful version of classic black bean soup will be a hit with both vegans and carnivores alike! Enjoy on its own or served over cooked rice. Heat olive oil in a large soup pot over medium heat. Add onion and jalapeno and cook for 5 minutes or until softened. Add garlic, cumin, coriander, oregano, and bay leaf and cook for 1 minute. Add vegetable broth and beans. Increase heat to high to bring to a boil. 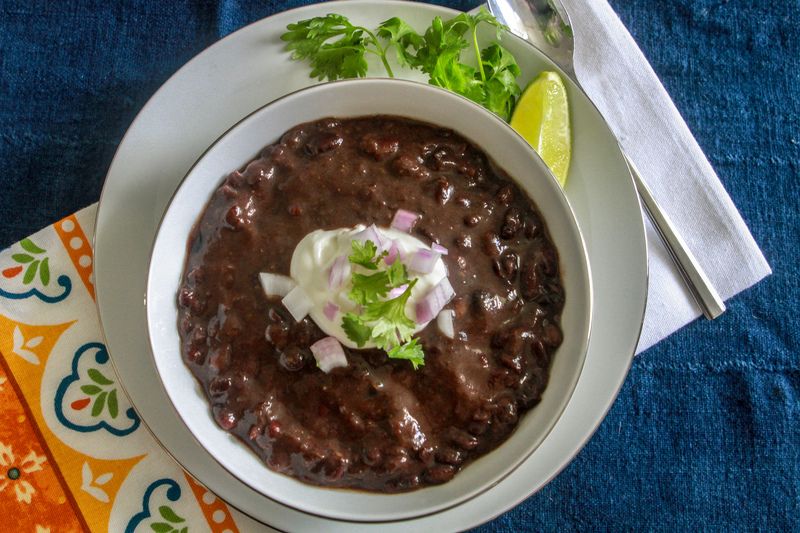 Reduce to a simmer and cook for 20 minutes or until beans are very tender. While soup cooks, whisk together Lime Crema ingredients. Stir in lime juice and partially puree with an immersion blender or regular blender. serve garnished with Lime Crema and cilantro.